Summer doesn’t officially start until June, but Ocean Springs is warming up already! Check out all of the fun things to do at the beach this summer below! Did you know The Inn is located just 3 BLOCKS up from Ocean Springs Front Beach? Pack the beach toys, floaties, towels, coozies, and coolers, but leave the beach chairs to us! We have partnered with local beach chair extraordinaires, Rita & Mike, of Belly Up Beach Chair Rental! 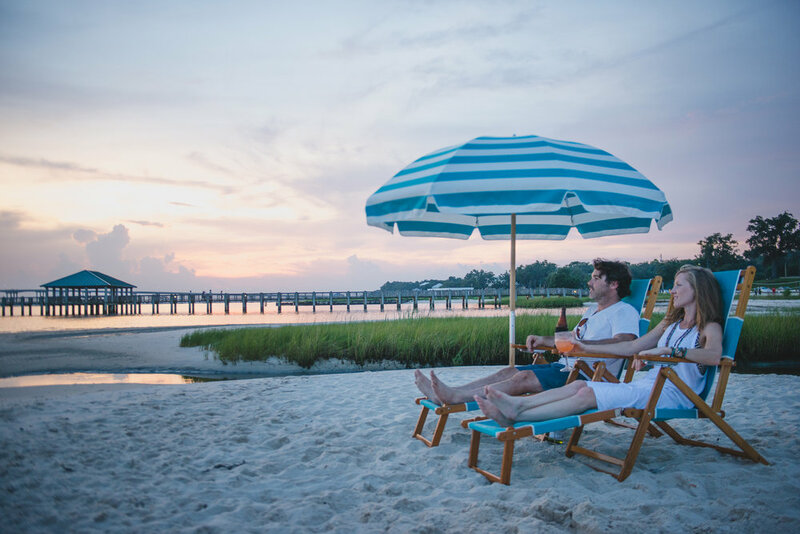 Call ahead or let us know when you book your reservation, and Rita will set up a pair of beach chairs and an umbrella for you on beautiful Ocean Springs Front Beach! Just walk down to the beach and your private umbrella will be waiting for you! Join the locals at Fort Maurepas Park on your way to the beach, located at the end of Washington Ave., for a splash-pad, playscape, and grilling options! Check out the statue of Pierre LeMoyne Sieur d’Iberville, the French explorer who landed in Ocean Springs and erected Ft. Maurepas all the way back in 1699! Looking for a tasty treat to cool off? 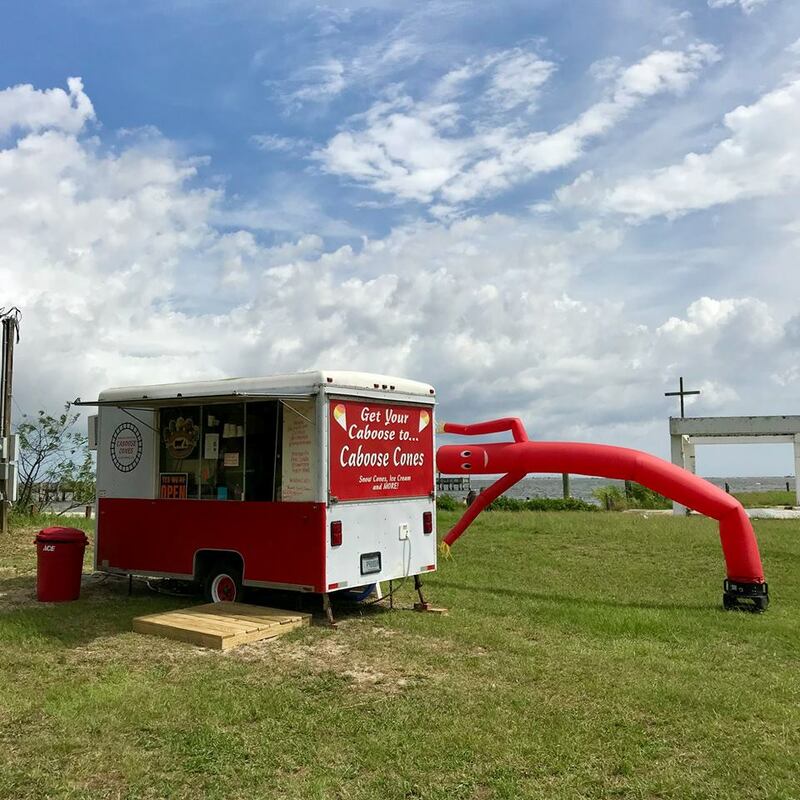 Caboose Cones, a long-standing Ocean Springs secret, now has a snowcone stand on the beach every summer! Pick up traditional New Orleans-style snowcones topped with sweetened condensed milk and “stuffed” with ice cream right there on the beach! The kids will love it, and you can relax in the shade of your personal Belly Up canvas umbrella! Another great addition to any Ocean Springs summer at the beach is a SUP, stand-up paddleboard, experience! Call ahead so we can schedule a class with Paddles Up, a local paddleboard shop located in downtown Ocean Springs. You don’t have to be an expert to get on the board! Just slather on the sunscreen and let their awesome instructors do the rest! If you’d rather sit-back on the water, you can also call Paddles Up to rent kayaks!